Beginning January 1, 2019, The Warrior Princess Scholarship Fund provides five (5)- $500.00 scholarship to five (5) deserving High School female seniors living in a single parent home and as described below. In general, applications will be accepted from current Prince George’s County high school seniors with an overall 2.5 GPA or better. Applicants are selected based on character and financial need. Applicants are considered for scholarships for which they qualify, and the selection committee will interview all finalists. United States citizenship is required. All applications require a 500-word essay on, “What are you passionate about and how can you make that into a career?” Request sealed transcript to be submitted with application from school registrar and allow sufficient time for your records to be processed and sent to the Scholarship Board with I Am Who I Am Corporation by Friday March 1, 2019. Please include 1 color picture of yourself with no filter, with the application. c/o Ms. Stephanie Bryan – CMT Services, Inc.
Beginning January 1, 2019, please email: stephanie@iamwhoiammd.com and request an application (three pages). All Completed applications together with the requested transcript of school records (including mid-year grades), two letters of recommendation, essay (“What are you passionate about and how can you make that into a career?”), and a color picture of yourself (no filter), must be received at the above address by Friday, March 1, 2019 ~ No Exceptions! NOTE: Open transcripts will disqualify your application. Awards will be given ONLY to individuals who have been accepted into a college, university, or vocational school. An acceptance letter must be provided before the check will be distributed. Applications are pre-processed to check for contents. If all items on the checklist are not included, your application is marked incomplete, i.e. In general, applications will be accepted from current Prince George’s County high school seniors with an overall 2.5 GPA or better. High School female senior living in a single parent home. 3. Request sealed transcript to be submitted with application from school registrar and allow sufficient time for your records to be processed. 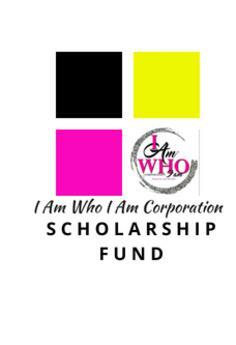 Send all five (5) items to the Scholarship Board with I Am Who I Am Corporation by Friday March 1, 2019.